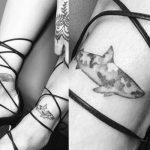 “the heart of the forest ❤ another tattoo masterpiece by @stefanoalcantara thank you for such beautiful work!!!! 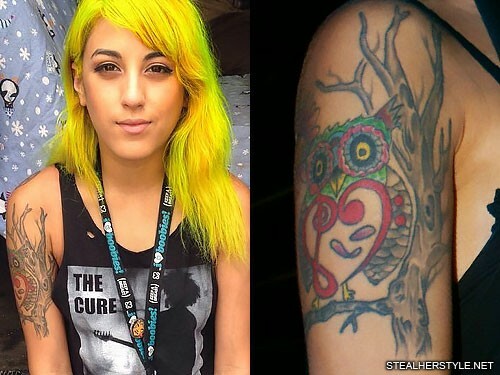 Anissa Rodriguez must be a huge fan of owls because she has two separate owl tattoos. 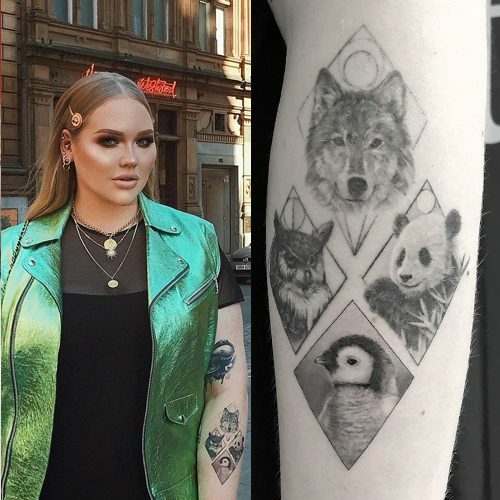 For her second, she opted for a smaller grayscale piece within a rectangle frame on her right wrist/forearm. 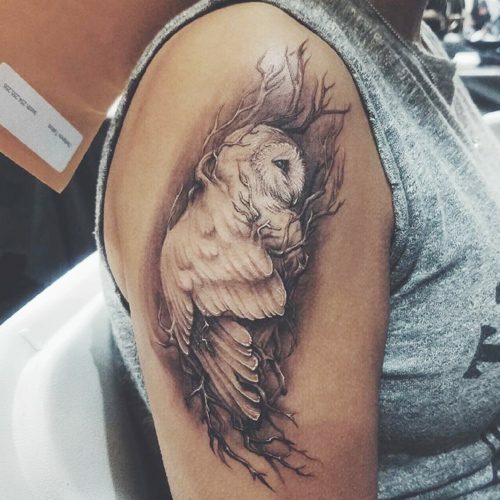 After Anissa Rodriguez added a branch below her owl upper arm tattoo, she connected it to a grayscale tree. The tree is placed next to the owl with winding branches that stretch up to her shoulder. 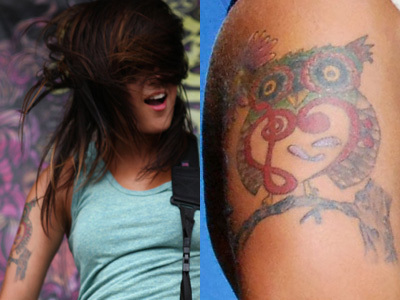 During Warped Tour 2010, Anissa added a branch beneath the feet of owl and flowers on the left side, with petals falling in the body of the owl. 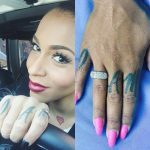 Anissa Rodriguez has a tattoo of an owl on her right upper arm. 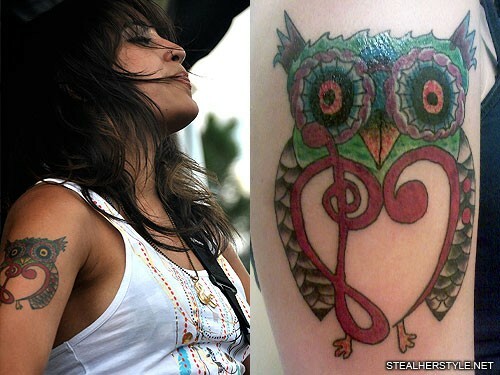 The body of the owl is an upside down treble clef and a bass clef paired to form a heart. 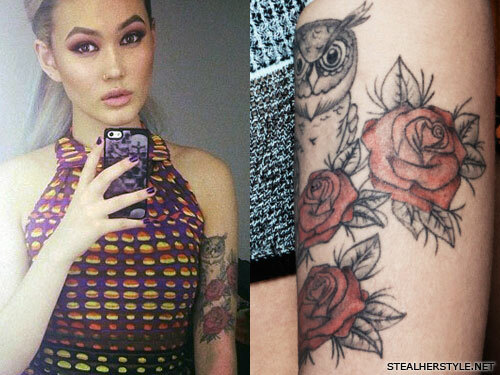 The tattoo is very colorful and it is done in a traditional style with black outlines. 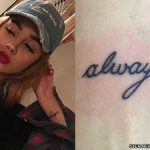 She had the original tattoo done in February 2010 and she has expanded it twice since then. 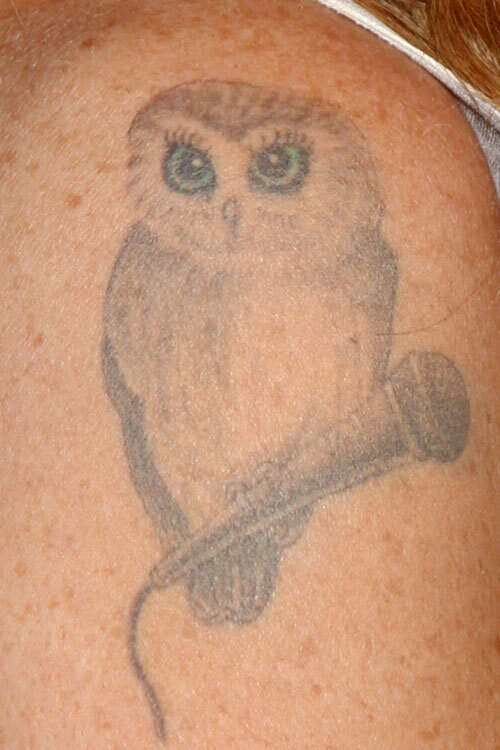 Taryn Manning has an owl holding a microphone tattooed on her right shoulder, which she got from artist Dr Woo in October 2011. 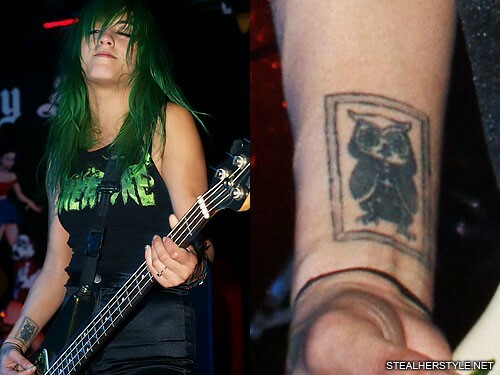 Abbey Lee Kershaw has a knuckle tattoo of an owl’s head on her right hand.